Reading deeply and widely in your field of study is important. And yet, aviation marketing professionals are incredibly busy. And most of the great sales and marketing books on the market are not really adapted to the aviation industry. So we provide great books to our Master Class group, and highlight some of the key topics for our industry with bookmarks. And we get to talk with the smartest people in the industry! 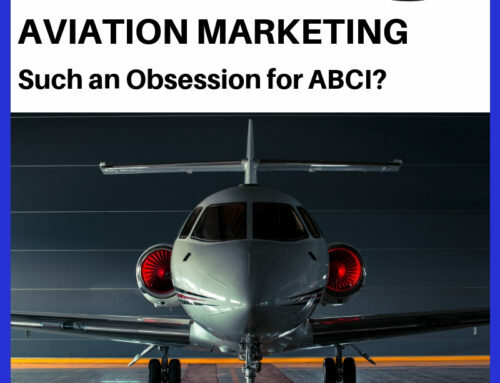 This is one of our favorite marketing books, and this discussion with John Williams and Bert Botta highlighted some of the key areas for aviation companies. 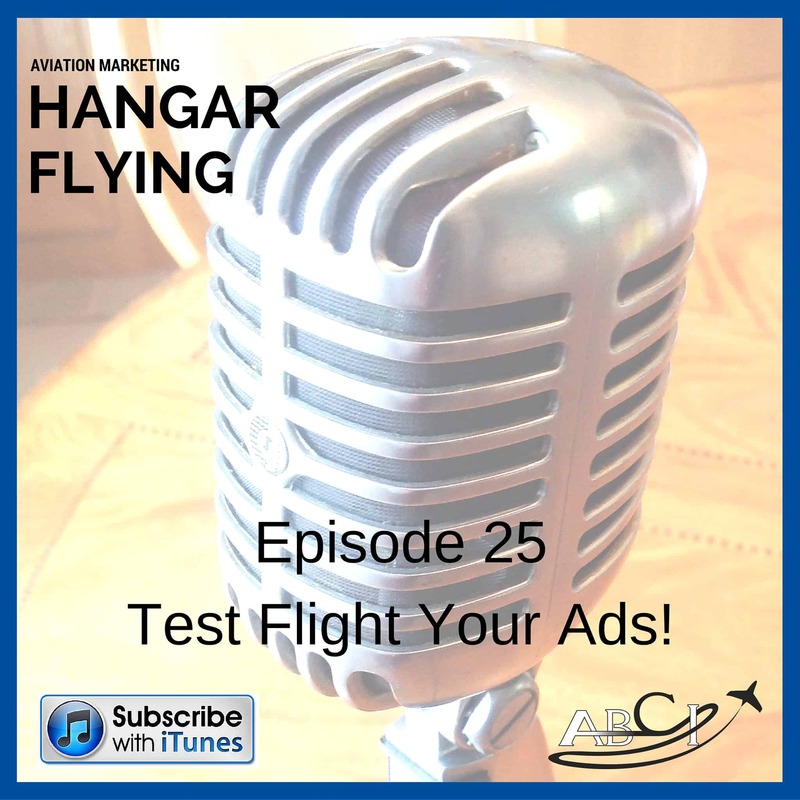 Narrator: 00:00:08 You’re listening to Aviation Marketing Hangar Flying, the community for the best sales and marketing professionals in the aviation industry. You can’t learn to fly just from a book. You learn from other pilots, who know the tools, the skills and the territory. Your hosts, John and Paula Williams, are your sales and marketing test pilots. They take the risks for you and share strategies, relevant examples, hacks, and how-tos. Be sure to subscribe on iTunes so you won’t miss a thing. Paula Williams: 00:00:46 Welcome to episode number 26. Today we’re going to try something new, and that is to do our book club discussion on the air. 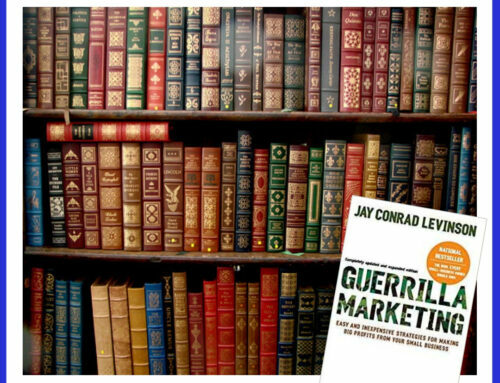 Now our book club is for the Aviation Marketing Master class. We send a book to our silver members and above. And we put a whole bunch of bookmarks in there with our notes on different things that we want to call people’s attention to about the book that we think are particularly relevant for the aviation industry. And those are things that we want to talk about with our group members. And our group members are some of the smartest people in the industry. So we learn a lot, and we think they learn a lot, and it’s a great experience for everyone. Welcome to this month’s book club discussion. 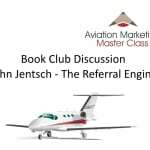 Today we’re talking about John Jantsch, The Referral Engine, and I hope I am pronouncing that correctly. But The Referral Engine is one of my favorite marketing books. I think I first read it about three years ago, and have read it several times since. 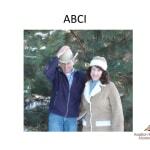 And have gone back and applied a lot of what’s in the book to what we do at ABCI. John Williams: 00:01:54 And I’m John Williams. John Williams: 00:01:56 To help everybody sell more products and services in the aviation world. Paula Williams: 00:02:00 Absolutely, and this is kind of a different picture of us, and then we’ve got a different picture of Bert. 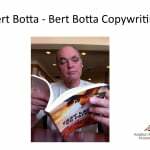 Bert Botta is also an author. This is your book, right? Paula Williams: 00:02:12 Fantastic. Why don’t you tell a little bit about your book? Bert Botta: 00:02:19 Yes. It’s more of an autobiography about my life, but it includes a lot of pretty poignant pieces about my background as an aviator with TWA and NetJets. But it’s also a journal about my life searching for answers to questions that I didn’t realize that I had. Bert Botta: 00:02:38 So it’s getting a lot of good reviews and I am using it in ways that I didn’t realize I ever would. I am a mentor for some kids, in a school where kids have dropped out of traditional schools. The kids are reading the book, and then we discuss it. And I have them journaling about their answers to the questions that we raise in the class. So that’s a way I hadn’t anticipated it being used outside of the aviation. Paula Williams: 00:03:12 Fantastic. So this is not new to you, this concept of taking steps, using a book to really improve your life and/or your business, and other people’s lives and/or businesses. Bert Botta: 00:03:23 Part of it is my introduction to aviation. It’s trading my need for speed, as a late 50’s hot-rodder in San Francisco, from racing hot-rods through the streets of the city and on the local drag strips, into flying jets for TWA and then NetJets. So it has something for everyone. For aviators, for people who are interested in a spiritual journey, if you will, and lots of interesting stories that I’ve gathered over the years. Paula Williams: 00:04:01 Race cars, airplanes and so on, and that segues pretty nicely. Obviously, what really astonishes me sometimes is that people will take the most exciting industry in the world, which is aviation, and they will try to make it boring. John Williams: 00:04:17 Boring is probably considered safe. Paula Williams: 00:04:33 One of the things that we’ve run across a lot when we look at aviation websites, aviation company websites, aviation company materials and things like that, is that you could swap out one logo for another and it looks like it could mean anything. This corporate speak of, our mission is to serve our customers in the optimum capacity, for which we endeavor, [LAUGH]. Just the corporate speak that doesn’t say anything. And it’s like they’re intending to take all of the risk out of what they’re promising their customers. Bert Botta: 00:05:12 Mm-hm. And as far as John’s concerned, I didn’t realize, I guess I didn’t hear before that he was a helicopter pilot. So there’s nothing boring about flying helicopters. He would never fall in to that trap, I’m sure. John Williams: 00:05:35 You need to have something that separates you from the crowd. It doesn’t have to be a whole lot, but it has to be something that lets people know that you’re different. Bert Botta: 00:05:47 Yeah, exactly. Paula Williams: 00:05:48 I think the main thing is, if you are bored, you are boring. So I mean if you are bored by the aviation industry, you should not be here. Because there are plenty of people who have a real passion for what they could do, where that could really shine through, and serve the customers a lot better. And make a whole lot more sense than people who are just pushing paper around and doing a job. Bert Botta: 00:06:10 It also has a lot to do with safety, as well, because I know when I was flying for the airline that if you had a pilot who you were flying with who was complacent or he was bored. All he was doing is putting his head down getting towards retirement. Which seems to be the case in more than a few situations amongst some of the major carriers right now, where the pilots are approaching retirement age. That could be very problematic in regards to safety. Not just from an awareness standpoint for pilots but from the standpoint of say, for a captain who’s just complacent. He sets the tone for the cockpit, and he can lull his other crew members into a false sense of security by that complacency, and that’s something you don’t need when you fly an airplane. I think, that I noticed a distinct difference coming from a 121 carrier like TWA to NetJets. You don’t have time to get bored at NetJets. Everything is changing so fast. It’s like a moving target. One day you are going somewhere, and you get a call from the company to go somewhere else. And you are flying multi-million dollar jets in to airports with no towers. Kicking off VFR 250 knots up to 10,0000 feet. 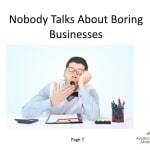 So you don’t have a chance to really get bored. You’re always alert, and that’s one thing good about that kind of flying for fractionals is that adventure, that excitement. So it’s a very different Environment. John Williams: 00:08:01 Well, I have started off flying charter, and like we did one better than that. It would go land in pastures and drop people off and wait under a tree until they came back. And they’d have somebody in a pickup come pick them up right there. Bert Botta: 00:08:19 Yeah, yeah. John Williams: 00:08:21 I mean you file to the nearest airport and you cancel on your way in. Bert Botta: 00:08:29 Right. That was a light twin. What, did you think you were flying helicopters at that time, John? John Williams: 00:08:34 [LAUGH] No, that was later. Paula Williams: 00:08:38 That’s true. But I think it comes back down to, if you are bored by what you’re doing, and it’s real easy to do that, because there’s so many regulations and things nowadays that you can get really lulled into this bureaucracy and things like that. Paula Williams: 00:09:06 The next piece that jumped out at me was the tragic referral reality. And I think these numbers are from John Jantsch’s research in industries in general, and he did a pretty extensive survey, through his company Duct Tape Marketing. And in aviation, I would say that most companies that we have talked to in aviation not just 63.4%, I would say that more like 80% of business owners feel that more than half of there business comes from referrals or repeat business. Would you agree, John? John Williams: 00:09:45 Yes. And the worst part of that is that the majority of business in aviation have nothing in place to generate referrals. John Williams: 00:09:56 And they will. One or two will tell you they all get most of their business through word of mouth. But they don’t generate it, it just sort of happens. Bert Botta: 00:10:06 That’s what I found interesting about the book, it just kind of tweaked my thinking on how to partner up with other businesses and how to do co-create content, things like that, but just it was very valuable from that standpoint for me, I hadn’t considered that before. So now all I have to do is find the time to be able to do that. Bert Botta: 00:10:30 Implement those kinds of strategies. Paula Williams: 00:10:33 Right, and what kills me is every year the most requested topic is prospecting. Prospecting, prospecting, prospecting, but prospecting is the most expensive crushing labor, kind of activity that there is. Because you can make five cold calls, versus one warm call, and have the same impact. It takes five cold calls to make a great contact and move somebody closer to the sale versus one warm contact. Almost every time you can at least make some progress either with more information or another referral or progress for the sale. 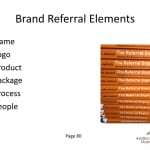 Paula Williams: 00:11:26 Exactly, right and so that’s why I think this book is so important, we always tell people, this is the most cost effective place to put your marketing money, is into a referral program. 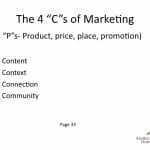 So if you pick up as standard marketing textbook from 20 years ago, or if you’ve been to a marketing class in a university or anything like that, they’ve probably talked about the four Ps which are product, price, place and promotion. John Janch, in his book, actually promotes a slightly different model called the Four Cs which is content, context, connection and community. And here we talk a little bit about the difference between the two and why the old model was great for university programs and things like that for people who are going into fortune 50 companies. And the four C’s is a lot more practical for people who have a more specific set of customers, like in aviation, like most of us who are in slightly smaller companies with slightly smaller advertising budgets. John, you know quite a bit about the next one. I know you talked about the Four P’s in your MBA class, right? John Williams: 00:12:40 Yeah, in business school they talk about this. And the problem is, if you’re going to use the Four P’s, you better have a lot of money. John Williams: 00:12:50 Because, seriously, you’re going to have to do a lot of testing, assuming you have a product Then you have to figure out what price you want it at, where you want to do it and what kind of promotion. Do you want market share. Bert Botta: 00:13:02 Market Penetration. I mean there’s lots of things to consider and it all takes money. 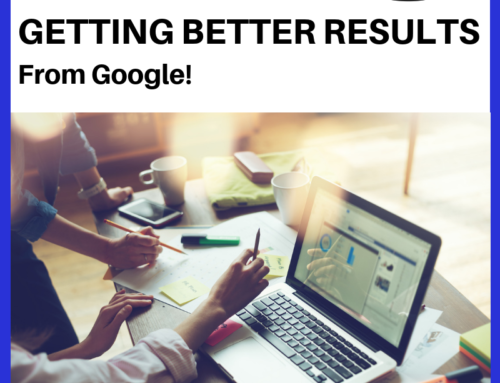 We ran marketing simulations through a software program and the thousands and hundreds of thousands of dollars it took. It was just like playing a game so you get [INAUDIBLE]. John Williams: 00:13:18 Problem is you can’t play that out here unless you’re very wealthy and have a lot of money to play with whereas the four season marketing which you can talk about are a whole lot easier and less expensive. Paula Williams: 00:13:28 Right, so the four keys were actually written by people who were doing marketing for Coke-a-Cola and Pepsi and Nike and some of the big brands that have a shocking amount of money, at least shocking to the rest of us. John Williams: 00:13:41 Well, at the time I went to business school Coca-Cola was spending $0.70 of every dollar on marketing. Now think about that, that is a lot of money. Paula Williams: 00:13:58 None of us can afford that. John Williams: 00:13:59 And it’s mostly just brand placement, it was just you just have to get it out there because they’re big enough they can do that. But the rest of us typically are not. Paula Williams: 00:14:12 Right, they’ve had 100 years and billions of dollars Behind them, when they get to the place, where all they have to do is put a Coke symbol on a sign, in the middle of South Korea, or probably even North Korea. And have everybody know exactly what they’re talking about. And we’ve seen a lot of aviation companies spend an awful lot of money on their logo, and then when they do, an ad in one of the major magazines, it’s mainly their logo. [LAUGH] With very little about what they do, or who they are, or who they’re for. Or what, you know? What they do for whom. So that’s a really big mistake that I think some of the MBA programs do a really big disservice to their students because they assume that they’re all working for Fortune 100 companies and that’s not true. Probably Fortune 50 companies. John Williams: 00:15:09 That’s right. Bert Botta: 00:15:11 I just had a thought that Coke has a benefit that the rest of us are not party to in that, their product is, I don’t mean this in a wrong way, somewhat addictive. Once you start drinking Coke, you can be hooked on that. I mean, it’s not called Coke by any stretch of the imagination. Paula Williams: 00:15:40 [LAUGH] That’s a recipe from the 1800s. It really was. John Williams: 00:15:42 Tell you a little story about Coke. I was in Germany for a while and my sister came over. And I was taking her around and we were in Heidelberg. And we parked the car, this was back before the Euro. And we went back to get the car after doing what we were doing. And I didn’t have any Deutsche Marks with me, I said no man. They wouldn’t take dollars and he happened to see a six pack of Coke in the front seat and he said is that Coke, real US Coke? Bert Botta: 00:16:28 Yeah listen keep that in mind when they start to devalue the dollar and come up with some alternative currency. Paula Williams: 00:16:35 Alternative currency in a can. That’s fantastic. Paula Williams: 00:16:38 Well, the four c’s, I think, are kind of an update and also an adaptation for smaller businesses. So rather than the four p’s, the four c’s. Content, context, connection and community. And, Bert Botta: , you’re an expert on content. And also connection in communities so putting those things into place being able to make a connection with your customer aviation is such a trust based industry that the only way to make a sale is to get as quickly as you can. Over that trust hurdle, you know, we like to call it the brick wall, [LAUGH] when you first pick up the phone and talk to someone, there is this brick wall there because they don’t know you or like you or trust you yet. So getting past that brick wall as quickly as possible, the simplest way to do that is to develop content. And since we’ve been doing our pod cast when I call people on the phone a lot of people will tell me I recognize your voice and I’m like really, so you found our pod cast on iTunes or somewhere else. Then they tell me all about it. They were looking for something on the web and they found it and they started listening and so now my voice is familiar to them. So they already feel like they have a connection. They kind of know were I stand on some things. There not going to suggest a brand advertisement [LAUGH] they know how I feel about that. There’s a lot of things that they’ve learned just in maybe even 20 minutes of listening to us. Same thing with articles, same thing with any content that you build that creates a connection. And Bert, I know you know more about this, this is your area of expertise here. Bert Botta: 00:18:31 I’ve found its, thanks for mentioning that because I had a great experience about two weeks ago I went to an AOPA flight instructor renewal course. And I brought a bunch of my books with me and my brochures for my copyrighting business. And I asked the instructor if during one of the breaks I could get up and talk about The book as well as my brochures. I said sure. I sold a whole ton of books there and passed out a bunch of brochures just by asking. And that to me was in that context of aviation oriented people, it was all you had to do was ask and they were interested. So, I don’t know what it has to do with what we were just talking about, but I think about it in terms of context, you know. Paula Williams: 00:19:26 Right, Right, and content because you have a book that is content. That is something that everybody wants. Especially if you have a book that maybe your giving away as part of your sales process. You have something that has a really high perceived value. You have a buyer’s guide on advanced flight training. That would be something that a lot of people would be interested in to know what are the ten questions I should be asking before I invest in advanced flight training? Paula Williams: 00:20:00 People will see as a way to connect with your company and say maybe I’m not that versed in what questions I should be asking. I certainly don’t want to sound. Stupid. If they can provide something like that, that helps me work through the process or work through the decision making process and be an educated customer, then that put context for me that makes a connection. And then also, if I can see other people like in a webinar or a podcast or something like that, where I can see other people who are having the same experience I make that connection and I can help build that community. Another great community that John and I are familiar with is the Harley Owners Group. I know they have some aviation related ones. The Mooney owners group, I know, is really super active, and some others where people who have made a purchase of a certain aviation product get really involved with each other and that kind of helps support the sales process and then the customer support process as well. Bert Botta: 00:21:04 Yeah, the Harley group is a very unique group of people. I rode Harley’s for many years and I was writing in when it wasn’t popular. There were outlaws. Now, I have an interesting theory on this, that people need to belong. And there is so many interesting men who are isolated and they still have this need to belong. So when they buy the Harley, they buy the leather jacket, they buy the look, they buy everything. And they’re instantly accepted in to that group. And it solves their isolation problem. They become part of that group, and they belong. Pretty cool for them, yeah. Paula Williams: 00:21:52 That’s true. I’ve seen the same thing, when I go to a show, or something like that, wearing a Cessna shirt, you know? With the Skyhawk on it. That shows that I am not one of the airline pilots, that kind of puts me in a particular group, and other people who are like me, will seek me out and, you know, this is a private pilot, this is somebody that’s kind of like me, I have something in common with this person, and I can talk to them while all of the professional pilots go off and do their thing, so that’s right. Bert Botta: 00:22:26 Reminds me of one of the T shirts that were popular when I was flying back in the ’70s and ’80s Some of the flight attendants had them made up and it said, marry me and fly free. Paula Williams: 00:22:38 There you go. Paula Williams: 00:22:41 And I think anything that you can do to promote community among the people that buy from you, and what ABCI does, of course, is we have a our marketing master class where we get our customers, or our clients together, a lot of them are having the same challenges. A lot of them find, a lot of our folks are in aviation maintenance. Or [INAUDIBLE] aviation maintenance software of one kind or another. They don’t compete with each other, because they sell different pieces of the same puzzle. But they have a lot of similar customers, or overlap among their customers. So, putting together some joint marketing ventures, can really save them a lot of time and hassle, and can help them join their communities together, and help people see, do some educational things. And it really opens up. Their possibilities for word-of-mouth as well by building that community bigger than any one company, because some of our companies are pretty small, right? There are four questions in the book, and Bert uses five questions Is when you do our member highlights. Bert Botta: 00:23:49 Yes, I find it, for me is valuable, because you get to know people up front, the question that we include. The question that we include now, I’ve put in first place is, tell me a little bit about your background and how you arrived at aviation at this point in your life. So it not only gives me information, but it seems to make the connection between my interviewee and myself and it seems to warm up the interview and proceed in a better way than just throwing questions at him cold. Paula Williams: 00:24:31 Yeah, right, exactly. And what John Jans suggests in the book, is that any business can do this with any of their suppliers or customers or anyone else. 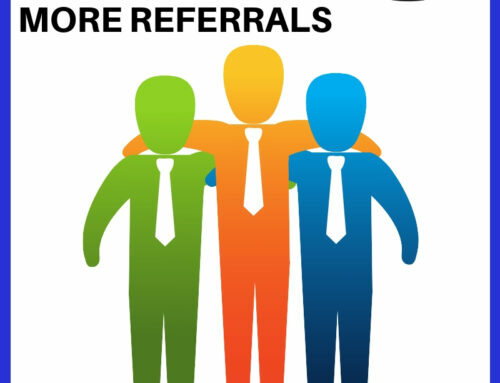 Because the best way to get referrals is to give referrals. The problem is, a lot of times we don’t know our own customers, our own suppliers well enough to know what would be a good referral for this person. So, these questions are really designed to kind of ferret that out. How would I [LAUGH] how would I make a good referral? Because there’s some risk to me when I make a referral, am I going to look silly by referring the wrong kind of person or the wrong kind of a situation to this company, their service isn’t a good fit. There’s lots of things that can go wrong with making a referral. What these questions are designed to do is to focus that in. Another thing that’s interesting, is that a lot of people have a lot of hesitation in answering these questions. They may not know the answer themselves about their own company, but if you spend the time to really develop a great answer you know your own company better, and your own products and services and so one. Have you found that Bert Botta, when your interviewing people do they have this right on the tip of their tongue of do they need to think for a while or what;s your experience with that? Bert Botta: 00:25:56 It depends on the the person and how familiar they are with their own business. Bert Botta: 00:26:11 So they have a chance to review it and in some cases, in one case a lady actually wrote down the answers to all the questions so, it made my job a lot easier in transcribing it. Bert Botta: 00:26:23 But it also allowed her to pinpoint that the answers and the questions much better. Paula Williams: 00:26:29 Right. And I know who you’re talking about, she’s actually a writer, so that’s her style. So, she’s using her own strengths to make this work for her, this process, which I think is wonderful. Paula Williams: 00:26:43 Some people are talkers, some people are writers. Some people are both. So, that’s a wonderful thing. 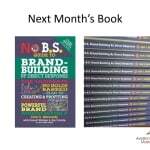 All right, so next months book is, no bs Brand building. There is a lot of BS in brand [LAUGH] building. I think there’s a lot of voodoo in the marketplace about what makes a good brand. What are the magic words, the magic colors, the magic symbols, and so on about branding? And there really isn’t a lot of magic to it. Its actually a lot more science than art. 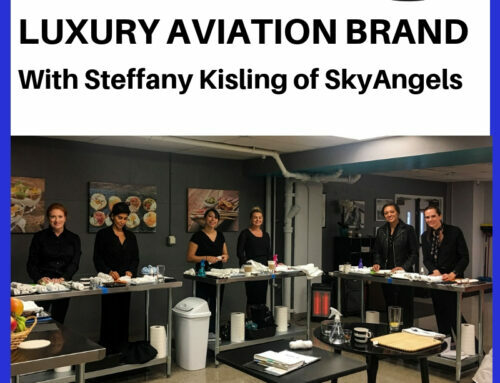 Of course art does go into it, but in creativity and all of those things, but I think a lot of aviation people are really relieved to find that there is a process to building a really strong brand. And this book does a really good job of doing this. And Bert, you’re going to love this one, because it was written by Dan Kennedy, plus Forrest Walden and Jim Cavale. They’re two partners who started a company called Iron Tribe Fitness. And I know this doesn’t sound relevant to aviation, but If you bear with me for just a second, what they did with Iron Tribe is the complete opposite of what most gyms do. Most gyms try to sell you memberships on the premise that you’re not going to show up. They sell a whole bunch of gym memberships in January, everybody buys them, and then they go two or three times and then they never show up at the gym again. That’s what the statistics say. And what Iron Tribe did was, they have a limit of, I don’t remember what the limit is, like 30 people or whatever who can belong to an Iron Tribe and then they are all accountable to each other to reach their goals. So it’s the complete opposite, and they do a really good job of differentiating themselves from every other gym out there. And what that does, what I think is relevant to aviation is number one, it’s elitist. [LAUGH] It is just not for everyone. This is an exclusive situation. A lot of us are selling exclusive products or luxury products or limited products so, I think that’s really smart the way they go about doing it that way. And then the second thing, is that they are selling what has become almost a commodity in the market. You can get a gym membership for 9.99 in pretty much any city there is and these guys are selling memberships, I think that are several hundred dollars a month and are doing very well at it. So if you have a high ticket item, their method and their experience is really, really helpful in showing how to do that. I think you’re really going to like this book. Especially you, Bert. I thought about you when we picked this one out. Bert Botta: 00:29:36 I like it already. I just started reading it, and it reminds me of a gym that I belong to here in Petaluma. I belong to it, realize that it’s a very social gym, and a friend of mine who’s 92 years old and he look’s like he’s 60 and acts like he’s 40. He and I got together. And he’s been in the club for like 30 years, and we got together, and he knew my background about leading men’s groups and he said, there’s a bunch of guys in this club that need to tell their story. So we got together and started this group, now there’s like 30 men who come and meet weekly for coffee and donuts. But, it also leads into men talking about their lives in a way that they’ve never been able to do before. And it’s enhancing, the point is it’s enhancing the club’s membership because a lot of the men hear about this. And words spreads and people join the club wondering what this place is all about. Paula Williams: 00:30:42 Yeah, exactly. And then the last point about this is that, one of the points that they make is that you can’t buy a brand. You can’t just go to a marketing company or a design company and say, plump down a thousand bucks or 10,000 or 100,000 bucks like you could in the days of Mad Men. And have them come up with a package. And you just slap it on everything and it’s going to magically work. The brand is something that comes from the inside of your company. And it really has to be what differentiates you from your competition. And without doing that deep analytical work, it doesn’t matter how much you spend on shiny logos and beautiful stationary, it is not going to do you any good because anybody can do that nowadays. And what people are really looking for, is that authenticity and those connections. So, that’s really what brands are built on. So, we’re really looking forward to next month. And we’re going to have, I think, another conversation like this one. So if you have read the book, and you do want to talk about it with us, we’d love to have you join us next month and we will go through the bookmarks in the book and also anything in addition that you find That was not bookmarked, we’ll talk about that, too. Bert Botta: 00:32:08 I left the bookmark in place, this time. Paula Williams: 00:32:11 Good. [LAUGH] Yeah, Greg took out all the bookmarks, thinking that they were in his way. Actually, we do think very carefully about what in this book are the four, six, or ten things that we really want our clients to focus on because we know your time is valuable and you may not have time to read the whole book. And although I think that everyone should read everything because I’m that kind of person, I do understand that not everybody is that way and not everybody is a bookworm or an avid reader or has time or energy to that. So, if you even just look at the bookmarks you’re going to be 1,000 times better off then if you didn’t crack the book, so please do. Bert Botta: 00:32:52 I find it interesting that Kennedy is so popular. Not so much that he’s not very prolific, or he doesn’t write great material, he does. But he’s kind of cantankerous. And he’s kind of his own boss, his own person, and I would think that that might have turned people off. But the quality of what he writes and produces, I think tends to overcome his cantankerous personality. John Williams: 00:33:26 And if you think about what he says, even though it’s cantankerous, a good person. John Williams: 00:33:32 You have to agree with what he says. Bert Botta: 00:33:34 Exactly, exactly, yeah. Paula Williams: 00:33:36 We’re actually going to talk about that, when we talk about branding next month. Personal branding is something that Dan Kennedy, and if you want to take it to an even more extreme, Donald Trump, has a personal brand, that repels some people, and attracts others. And it’s very deliberate, and it is very carefully done for a specific purpose. And with Dan Kennedy, he wants to attract a certain type of person. And I am not his ideal client. But I’ve gotten past that [LAUGH]. John is his ideal client. John loves what he writes. Bert Botta: 00:34:28 [INAUDIBLE]. I didn’t mean it wasn’t powerful. I just meant that if you take some of his stuff, who he is personally, you’re definitely overlooking the value of what he writes. Paula Williams: 00:34:45 That is absolutely true. We’ll talk about that too. Sometimes turning some people off with a personal brand is not a terrible thing. But yeah, that’s a nice segue. We’ll be talking about that a lot more as we go through personal branding and the brand topic this month and next. I’m looking forward to a really animated conversation because this is a very provocative book as well, so it’s a fun read. Bert Botta: 00:35:13 Good, looking forward to it. Paula Williams: 00:35:15 Alright, well we’ll talk to you next month then. We’ve had people ask us, “How can I promote MY product or service using a podcast? It’s actually a great idea. There are a LOT more people listening to podcasts than there were just a few years ago. And there are many specialties in the Aviation industry where you’d be the only one there. For software, or specialty training, or certain types of materials and maintenance and services. 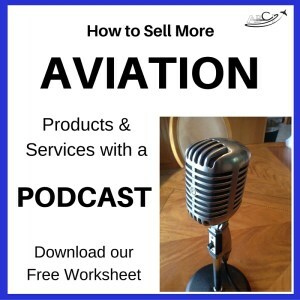 We’ve put together a Tip Sheet – “How to Sell Your Aviation Products or Services using a Podcast.” You can download it from ABCI1.com/host-your-own-podcast. Narrator: 00:35:17 Thanks for joining us for Aviation Marketing Hangar Flying. The best place to learn what really works in sales and marketing in the aviation industry. Remember to subscribe on iTunes and leave a rating.